Sage Alerts & Workflow is an enterprise-wide monitoring and response solution that monitors your clients’ Sage applications for any business conditions that are critical to the success of their organization. This includes the ability to identify conditions between various business applications, as well as the ability to monitor the contents of incoming email messages, web form submissions, and even conditions within your operating system. 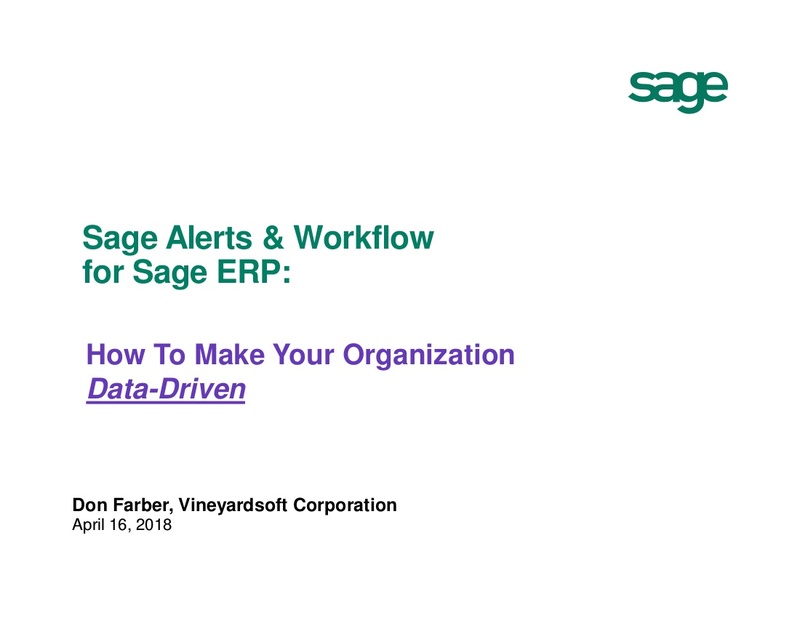 But Sage Alerts & Workflow is not merely an alerting solution; it also allows you to streamline your operations by automating many tasks you currently do manually. 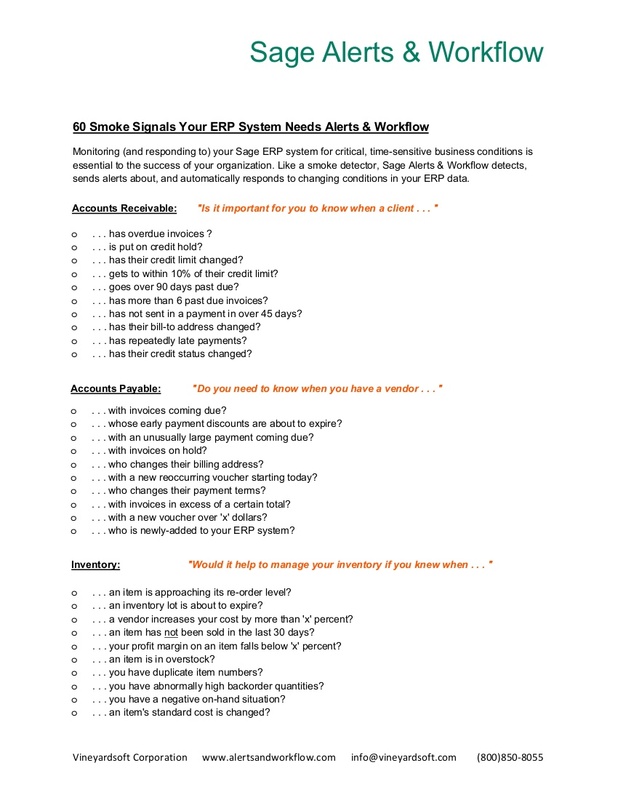 The solution comes with a large collection of pre-configured business alerts and is easy to implement and use. Read more below to understand why Sage Alerts & Workflow is the most effective business activity monitoring solution on the market today.